Don’t Mess with the Head of the Family! Gotham has finally developed its identity as a show. Two weeks ago, Gotham featured Jim Gordon working with Dr. Leslie Thompkins in Arkham Ayslum. However, a criminal mastermind has broken out of Arkham to avenge his incarnation. Gotham episodes have usually focused on other characters with side plots but finally this week, the show discovered its identity. Jim Gordon was the main focal point. Jim Gordon is reinstated as Detective to capture Jack Gruber aka Lester Buchinski. Buchinski is out to kill Sal Maroni for betraying him. Jim Gordon meets Commissioner Loeb and the two men immediately despise each other. Loeb gives Gordon 24 hours to capture Buchinski, or he will be back at Arkham. Fish Mooney finally makes her move and kidnaps Liza which prompts Falcone to think about giving up his position as head as the family. However, the end of the episode was the best part. Gotham is a good show; however, this episode might be a turning point in the show’s direction. The writers might finally get rid of the bad fish that is plaguing the plot lines. 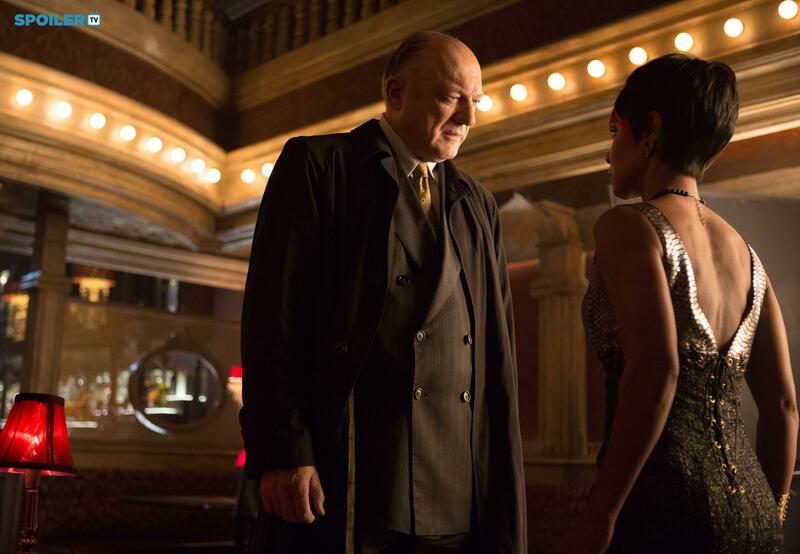 Positively, when Fish Mooney makes her move and causes Falcone to falter was interesting. Falcone hasn’t been a big powerhouse on the show. He has had moments but hasn’t felt like he was a threatening crime boss. His last scene on the episode was terrifying. Finally, glad to see John Dorman will be showcased more in future episodes. Carmine Falcone and his ability to manipulate the powers that run Gotham is one of the reasons why Bruce Wayne puts on a batsuit in the future. It is refreshing to see him because a mob crime boss and teach people lessons in person instead having one of his lackeys do it. Jim Gordon in this episode was finally the main focus. He told off the commissioner and wouldn’t take no for an answer. This is the Jim Gordon that fans have been dying to see on the show. He had that Jim Gordon charisma from the Nolan movies. Fans of Batman lore know Jim Gordon to be a guy who isn’t afraid to tell someone off. Gordon also had great chemistry with his partner Harvey Bullock in the episode. Ben Mackenzie and Donald Logue really need to become the focus of the show. It will be interesting to Gordon’s rise to commissioner and how it affects his relationship with Harvey. Overall, this Gotham episode was a good preamble for future storylines to come. Bruce Wayne, Alfred, and Selina Kyle were not forced in the episode’s plot which takes away screen time from the action in the episode’s plot. Barbra Kern was forced on us but only for a few mins. Leslie Thompkins made it obvious that she wants to be an item with Jim Gordon. I give this episode of Gotham a 3.5 out 5. This entry was posted in Gotham Reviews and tagged Ben Mackenzie, Carmine Falcone, Donald Logue, Fish Mooney, Gotham TV Show, Gotham What a little bird told me review, Harvey Bullock, Jada Pinkett Smith, Jim Gordon, John Doman by jcoop28. Bookmark the permalink.